I am extremely honored and excited to be the third artistic director of Park Square Theatre following in the very large footsteps of the incredible Richard Cook. He can never be replaced and I am looking forward to building on the accomplishments during his vital tenure; and, with Michael-jon, to lead the theater with adventurous, surprising, transformational, and thrilling productions (from classical to brand new contemporary work) that represent the whole of our community and are built with love. Flordelino Lagundino. Photo Park Square Theatre, 2018. We all are part of an amazing theater that produces some of the most vibrant productions in the Twin Cities area and also has a world-class education program led by Mary Finnerty. And as the artistic director, I want you to know that this is your theater and I am looking forward to talking to you about Park Square’s civic role as a leader in creating dialogue and entertainment in St. Paul and Minnesota. A little about me…I currently live with my wife Jenny and our baby girl Daryl in Brooklyn, NY at the end of the R line in beautiful Bay Ridge – three blocks away from the Verrazano Bridge. This has been my home for the last three years and I have worked with some amazing artists around the country as a freelance theater artist – some of them in the Twin Cities. 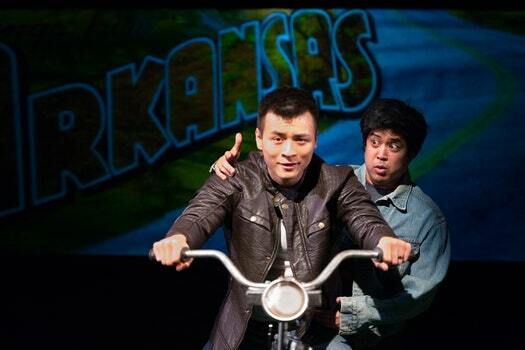 One of the best experiences in my theatrical career was performing in Vietgone at Mixed Blood last year. It is a play that puts a very important point of view on stage and it was an opportunity for me to perform in an Asian American story. Before I came, I had heard a lot about Jack Reuler and Mixed Blood and their work on inclusion and it was a dream to be able to perform and work in the old firehouse. I then came back and had a wonderful experience as the assistant director on Blithe Spirit at The Guthrie Theatre and attended the The ten Thousand Things theater conference. 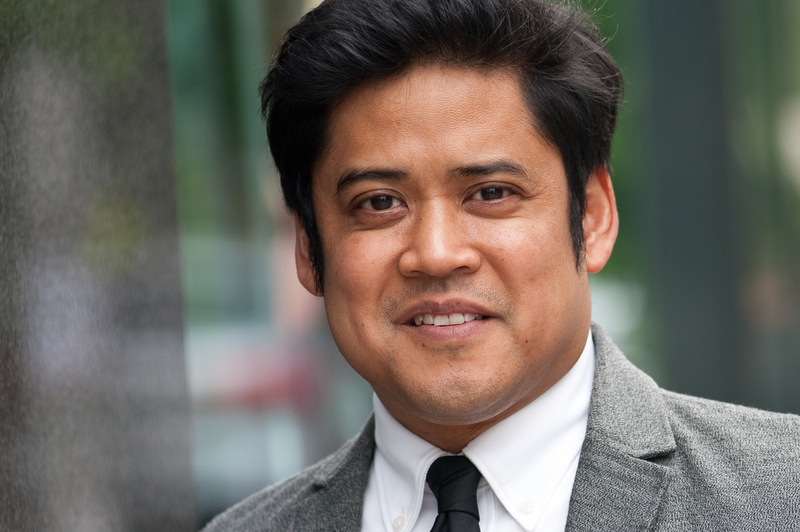 David Huynh and Flordelino Lagundino in “Vietgone” at Mixed Blood. Photo by Rich Ryan. 2017. What I love about St. Paul is that there is a real feeling of community. One of the places that I’ve worked in my past that really shaped the way I think of theater was Perseverance Theatre in Juneau, Alaska. There you would walk down the street and someone would talk to you about your acting, or ask you about the next season while you were getting coffee. I loved that sense of interaction with the audience and the ability to make an impact in people’s lives in a regional community. When I move to Saint Paul, I want to be at a ball game and someone complain to me about a set; walk down the street and have a government official share the joy of falling out of their chair with laughter; or walk into Trader Joe’s and hear about how Park Square Theatre has changed a life. I’m currently here in tech at Hudson Valley Shakespeare Festival and thinking a lot about Park Square and the adventure ahead. I can’t wait to meet all of you – at the theatre or at Trader Joe’s!